The male in the photo is wearing an orange poncho. 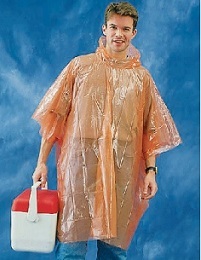 You will receive a clear color poncho. The price of this product varies with the quantity of products ordered in the category "Safety Gear"